Anna sähköpostiosoite Brendan Benson liittyviä uutisia ja päivityksiä. 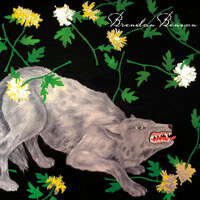 As much as the story behind Brendan Benson's fifth solo album is the story of making a record, it is also a story of finding a family — of love, marriage, the birth of a son, and of another kind of family too: one made up of all of the musicians, music-lovers and friends, who have helped to make these songs and build a label to carry them. 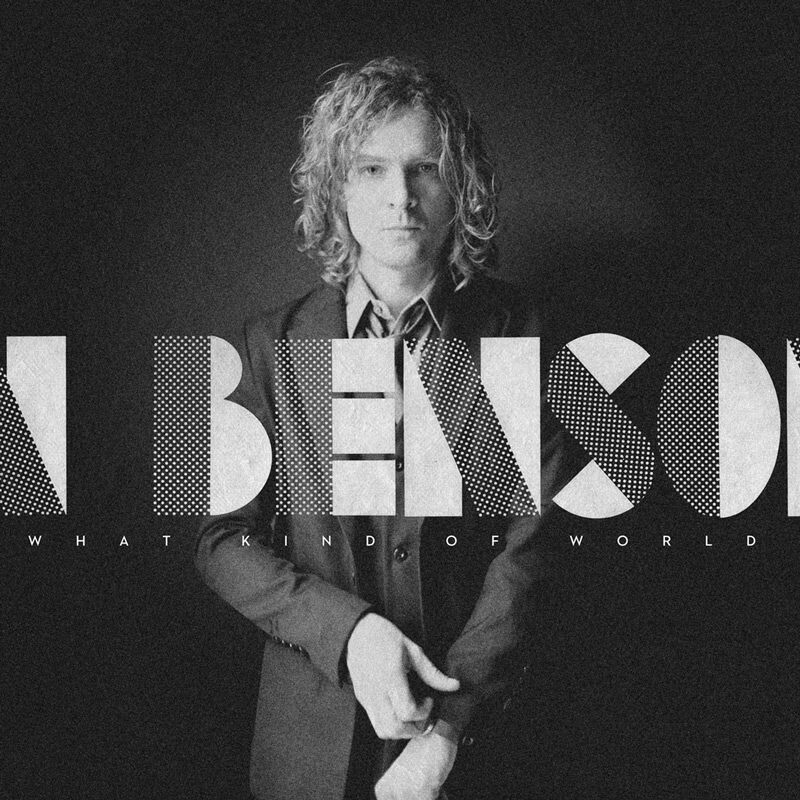 Over the years, Benson grew accustomed to doing things alone, releasing four solo albums to date, starting with 1996's One Mississippi and followed by 2002's Lapalco and 2005's Alterna- tive to Love. After a brief hiatus when he co-founded The Raconteurs and spent a few years touring and releasing two albums with them, he made a return to solo work with 2009's My Old Familiar Friend. It was around this time that he also decided to relocate from Detroit to Nashville, a move that would set in motion events and relationships that would eventually form the backbone to his latest offering, What Kind of World. 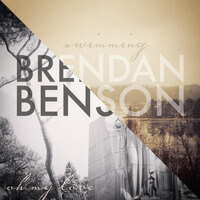 "Marriage and having a kid was the big thing," Benson says of the years between this record and My Old Familiar Friend. Having welcomed his son, Declan, in the spring of 2010, the effect on his music was apparent: "I think it's given me a whole new motivation, a new vigor," he says. "If I was having a doubtful moment, I could think of Declan and think ‘I'm doing this for him.'" The songs on What Kind of World reflect this new clarity. "I think on this record I'm saying a lot of things I never thought I would say," says Benson. "Maybe I'm just getting older, but I don't want to hide now in my songs, I just want to be truthful. And I'm realizing that the truth is really interesting — I'm more attracted to honesty these days than to convolution." It's a sentiment that surfaces and rings out on the album's showstopper, "Bad For Me" - a dazzling, irresistible tale of a destructive kind of love. "Lyrically on this song, I'm going out on a limb," Benson says. "I'm out of my comfort zone, and speaking really plainly. 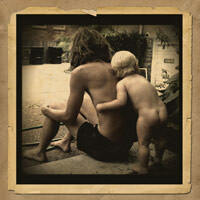 It's a song where I realized the truth is far more compelling." Many of these songs are a testament to the friendships Benson has cultivated in Nashville. 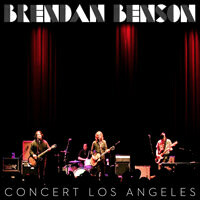 Musicians such as Jon Auer (The Posies, Big Star), Ken Stringfellow (The Posies, Big Star, REM), both of whom Benson met at a concert to honor Alex Chilton, as well as Brad Pemberton (Ryan Adam's Cardinals), Mark Watrous (Loudermilk, Gosling), and Sam Farrar (Phantom Planet) are members of his newfound musical family who have contributed to the creation of Benson's album. The spur of inspiration came from elsewhere as well: songwriting collaborations with rising talent Young Hines and country singer Ashley Monroe (Pistol Annies), which eventually led to the creation of "Keep Me" and "Pretty Baby", respectively. Another track, "Thru the Ceiling," was written with local writer-producer Jay Joyce, and for "No One Else But You," Benson tracked down a couple of horn players after a half-remembered conversation at a recent party. Recorded at Welcome to 1979 in Nashville, engineered by Joe Costa and produced and mixed by Benson himself, What Kind of World will be released on Lojinx in the UK & Europe and on Benson's own label, Readymade, in the US — a venture that has proved new and exciting while simultaneously restoring a little faith in the power of good people and good music. The idea for the name of his label dates back to 1995, when Benson was newly-signed to Virgin Records and putting out a limited edition EP. "I was doing the artwork, and I just stuck my own imaginary label on there — the name came from Marcel Duchamp, and his readymade objects." The creation of his own label not only led to the hand-picked selection of a passionate team for What Kind of World, but it also allows the option for artists Benson produces to have a home at Readymade - Readymade's partnership with Lojinx also sees the release in Europe of Benson helmed albums by Young Hines and The Lost Brothers. "I've never done this before," he says with evident delight, "but it's cool to do it totally on my terms." The multiple outside sources of inspiration and the support from family and friends have left Benson truly excited about What Kind of World. It also helps that it passed the test with his ultimate critic. "When I got my record back from mixing, I knew I had to listen to it," Benson recalls. "My wife, Declan, and I were all in the room, and we cranked up the volume. Straight away Declan started dancing. He was throwing it down, he just wore himself out by the fourth or fifth song. And then he fell asleep in my arms. I walked around the room with him like that, and it was the coolest, most perfect thing. I knew, then, that I loved my record." What Kind Of World is out now on Lojinx in Europe.